SHADOW CONSPIRACY X GREENFILMS DSLR CAMERA BACKPACK MARK 2 IN STOCK NOW! SHADOW CONSPIRACY X GREENFILMS DSLR CAMERA BACKPACK MARK 2 in stock now and ready to ship! One of the best and most thought out backpacks ever made. Click HERE to view more photos and to purchase yours now while they last. This is the 2nd version of this backpack from Shadow and Greenfilms which is the newest and latest design. 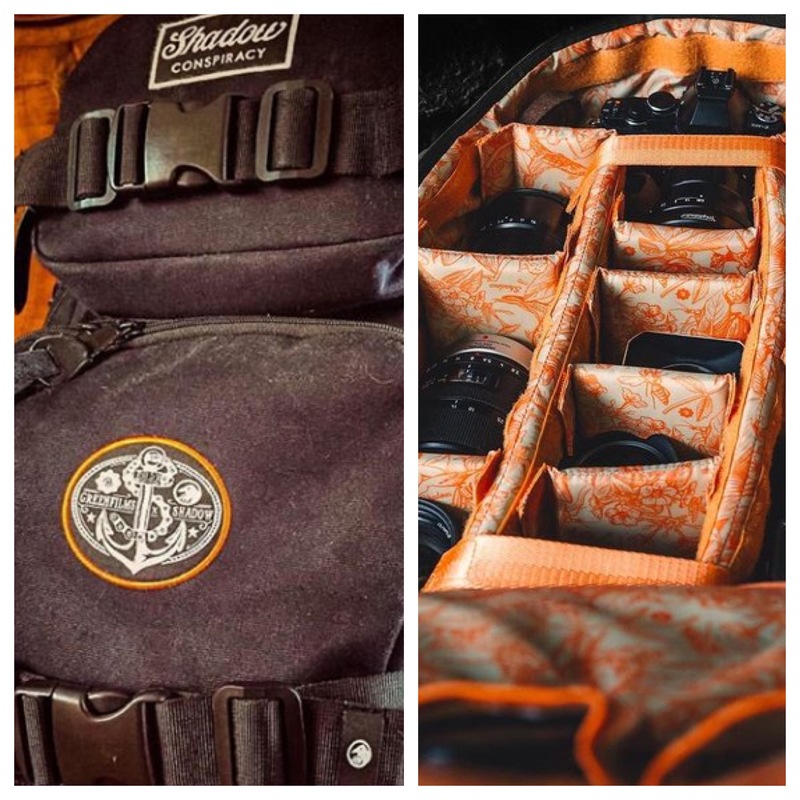 This DSLR specific backpack is collaboration with the French Greenfilms Crew, purveyors of fine action photography. 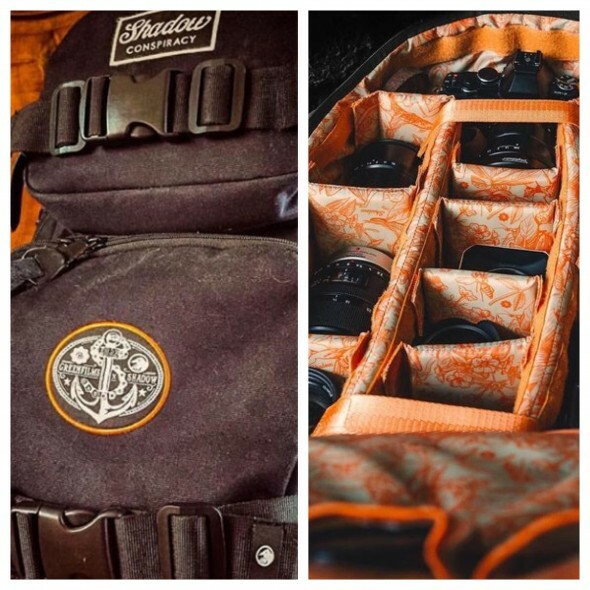 Shadow came together with Greenfilms with the intention of making a fully functional DSLR backpack that looks like a normal day to day backpack. Many months of testing went into making sure that your camera equipment will be safe and sound inside. Dimensions: 19.5″H x 12″W x 6″D. Features include: padded laptop compartment in back of backpack, 12 oz water resistant PVC backed cotton canvas material, custom Shadow Paradise inner print in orange, front top pocket is insulated for use as a cooler compartment, right side of bag features a bottom pocket and a clip strap for easy tripod carrying, inside DSLR compartments include Velcro closures and are customizable for individual camera preference, padded straps feature an adjustable chest strap, removeable waist strap, skateboard / utility straps for carrying all your essentials, Shadow logo woven labels and patches throughout, SHDW coffin design stitched into back of bag. « Shadow Conspiracy Serpent sprockets in stock now… 25t and 28t sizes… Lots of colors!